The new ESPN policy to try and get company talent to avoid public political discussion isn’t even two months old, and we’re already seeing some major issues with it that demonstrate just how hard it is to tell people to stick to sports in the current political climate. Hill is not the only person to talk about Saban in the context of that election, and she isn’t even offering the strongest opinion out there. Consider Chuck Modiano of The New York Daily News, who earned our hottest take of the week earlier this month for a piece calling Saban “a clueless, gutless, selfish coward” for not endorsing a candidate in that race. Hill isn’t going nearly that far. + Commentaries on relevant sports-related issues are appropriate, but we should refrain from overt partisanship or endorsement of particular candidates, politicians or political parties. + The presentation should be thoughtful and respectful. We should offer balance or recognize opposing views, as warranted. We should avoid personal attacks and inflammatory rhetoric. + Communication with producers and editors must take place prior to commentary on any political or social issues to manage volume and ensure a fair and effective presentation. It seems unlikely Hill cleared her musings about Saban and politics with an editor or producer, and while Hill doesn’t definitively answer the questions she raises (at least, there’s no answer provided in Wiedeman’s article, which moves on from that subject to cover Hill’s history in sports media, her interactions with ESPN colleagues, President Donald Trump’s complaints about her and more), there’s not a lot of “balance or opposing views” there, and you could make an argument that saying Moore “said some ignorant and pointed things about African-Americans” is partisanship. Now, of course, Hill didn’t tweet this, and she didn’t discuss it on air (not in these specific terms, at least), but the ESPN policy makes it clear it applies to “any public-facing forum.” So an interview would seemingly count. Hill isn’t one of the “writers, reporters, producers and editors directly involved in “hard” news reporting” banned from commentary on political or social issues altogether, but that policy is pretty restrictive for commentators too. And there’s at the very least an argument that Hill’s comments here violate it. If anything, though, that goes to show the absurdity of this policy, and the ridiculous box ESPN is putting itself and its talent in. That extends to the approval of this interview in the first place, and that shows the challenges ESPN faces. On the one hand, they want publicity for Hill. They want her to be recognized as an authoritative commentator, and they want other media outlets discussing SportsCenter. And on the whole, this piece presents Hill as a thoughtful commentator and might motivate some readers to tune in and see what she has to say on air. 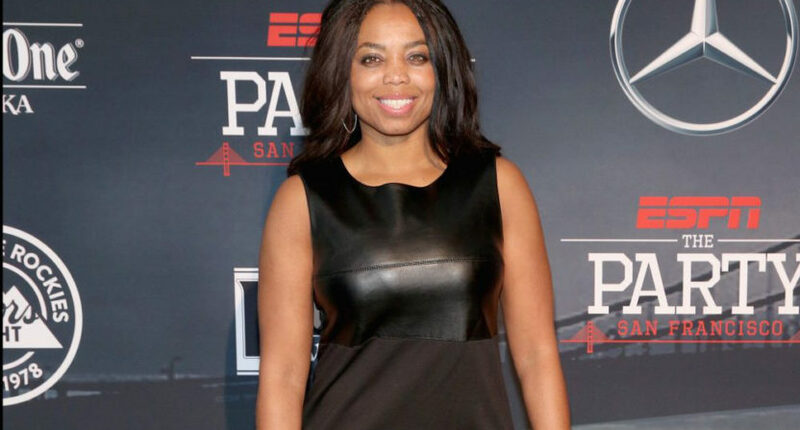 But a New York piece is highly unlikely to stick to sports in the letter of the law ESPN’s policies seemingly demand, and if Hill thoroughly did stick to sports, there would be no point in this piece or this interview. New York seems unlikely to write about if Hill likes Jordan or LeBron better (you can tune into ESPN’s First Take or FS1’s Undisputed almost any day for that kind of content), or about her thoughts on the triple-option offense. Much of the selling point behind Hill’s SC6 with Michael Smith in particular is that it’s a conversational show that goes beyond sports highlights or typical player interviews and addresses societal issues. And profiles like this one help promote that, so in that sense, they’re good for ESPN. But at the same time, they illustrate that the company can’t make its talent all abide by the draconian letter of its policies on political and social commentary, and that there wouldn’t be much interest in profiles on their talent if they did. It’s worth considering the downside here, too. Hill’s thoughts on Saban here aren’t all that hot of a take in the grand scheme of things, especially compared to other commentary on that election, but the “ESPN is super liberal!” critics could probably get a bit of ammunition from “Liberal magazine interviews liberal ESPN host, gets liberal take on Nick Saban and Alabama election.” It’s also worth pondering if that will lead to interview requests from right-wing outlets, which would probably pose problems whether they were approved or denied. It’s certainly not going away from the left-right culture wars ESPN has been stuck in. Maybe the overarching takeaway here is that every conceivable ESPN action around politics has a big downside. If they didn’t have a social/political commentary policy, they’d get dragged for that, but the one they’ve brought in has taken a lot of criticism for how far it goes. And having that policy then brings up all sorts of questions about its enforcement, and exactly what it covers; are outside media comments like these ones from Hill okay, and why, or why not? Is every somewhat social or political comment from every ESPN-associated person now subject to intense scrutiny? What about media interviews in general; should ESPN be rejecting requests to interview personalities like Hill on the grounds that those interviewers are unlikely to completely stick to sports? Should ESPN be telling their personalities to dodge political questions (and thus, probably get fewer profiles written about them), or should they embrace occasional detours into the political if it helps promote their personalities and their shows? There aren’t any easy answers, and any of those approaches carries potential major pitfalls. But, at the very least, this piece is notable for perhaps unintentionally pushing the boundaries of some of these ESPN guidelines, and illustrating just how many questions there still are about them.